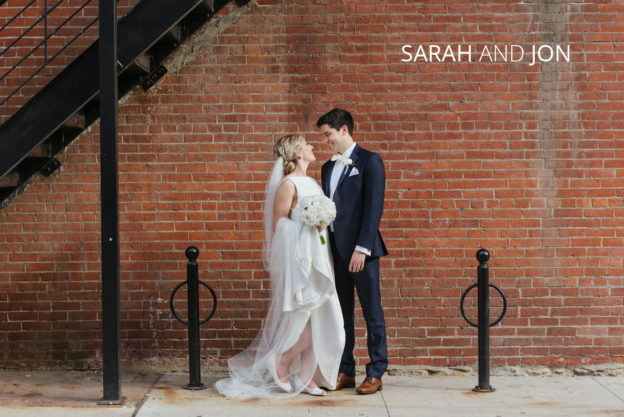 Sarah and Jon were married on a hot but beautiful late spring day in downtown Columbus, OH. 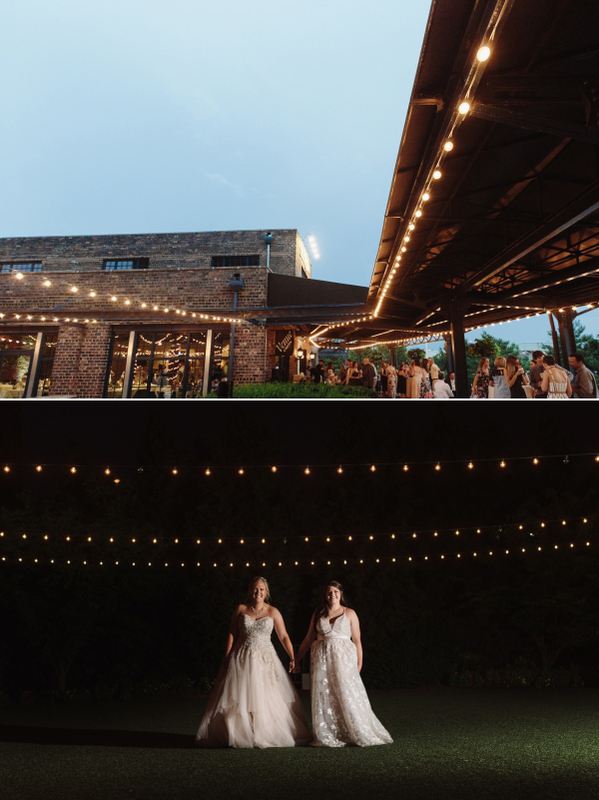 The wedding was an inspired mix of Modern and rustic details. 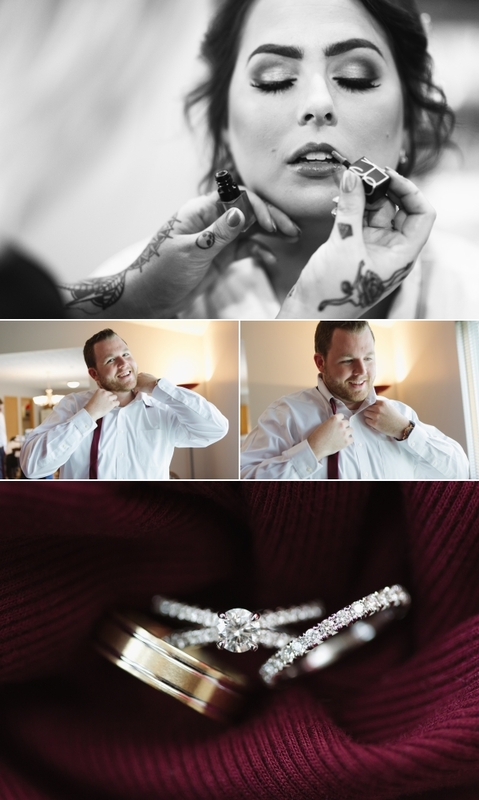 The couple both prepared for the big day in separate rooms at Le Meridien hotel downtown. 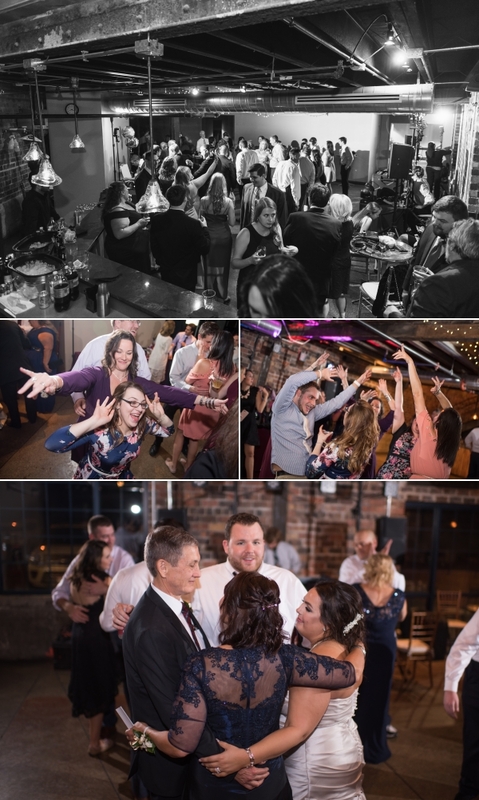 The ceremony and reception both took place at Dock 580 with a trip to the Short North for photos in-between. 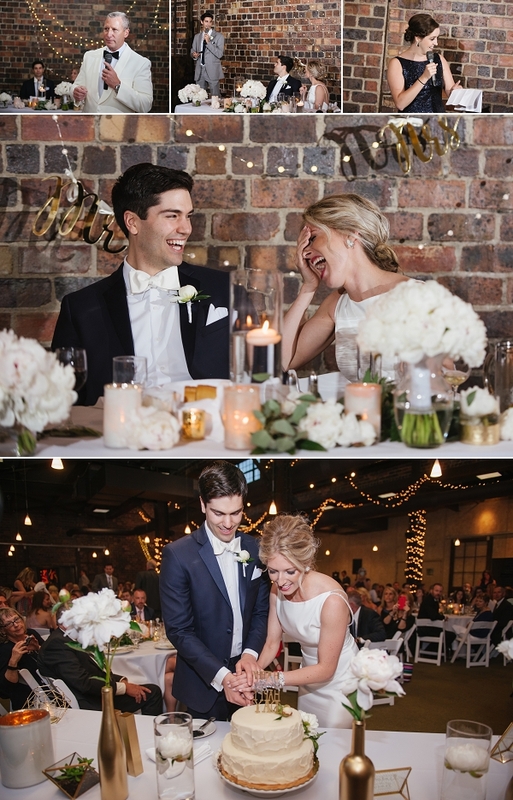 Sarah’s Paloma Blanca dress fit her like a dream. It had a plunging backline that was accented with delicate rhinestones. In other words, it was business in the front, party in the back. 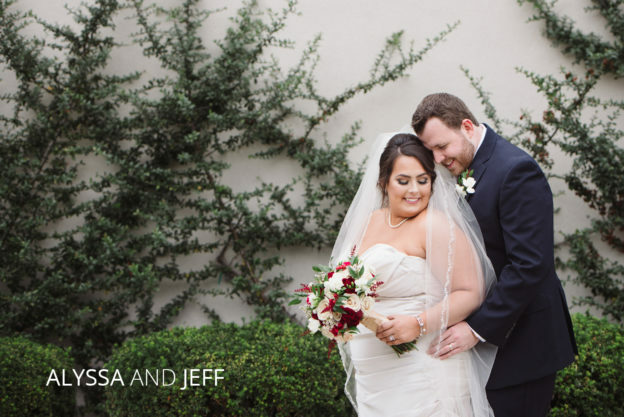 Her long veil was the perfect accent to her all-white look, which was punctuated with bright red lips. 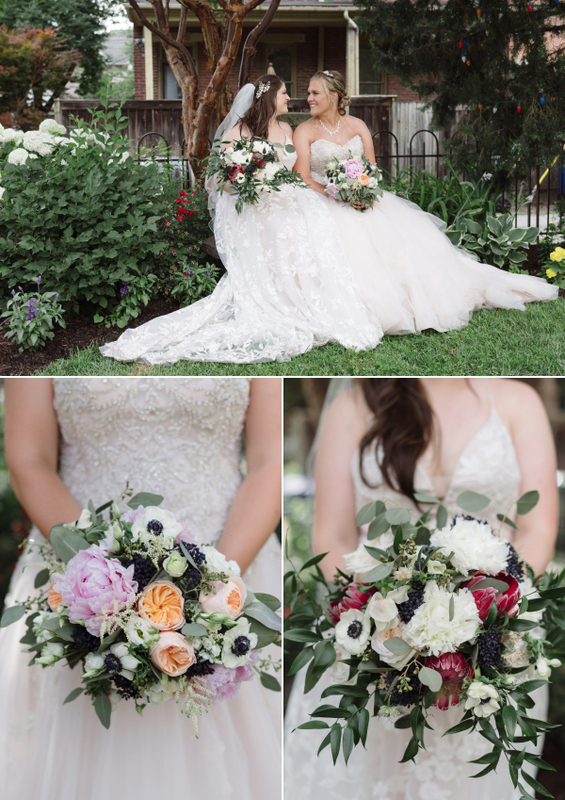 Sarah’s bridesmaids were all stunning in long and elegant navy gowns. Jon was as handsome as it gets in his fitted navy suit and white bow tie. His groomsmen finished the look with gray suits and navy ties. The ceremony was in a tent located on the side lawn of the venue. 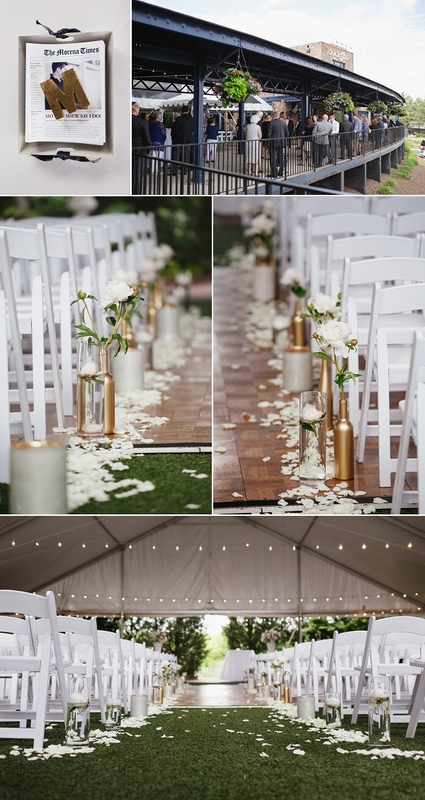 The isle way was adorned with gold bottles and white flowers and petals. Bistro lights were strung across the tent for added romance. A funny story- I ducked under one of the tents cross-beams for a photo during the ceremony, and when I went to come back, I totally forgot it was there and my head hit it, causing a “DONGGGGGGGG” echo during the ceremony. Luckily only the kid sitting next to me heard it. It was pretty embarrassing. 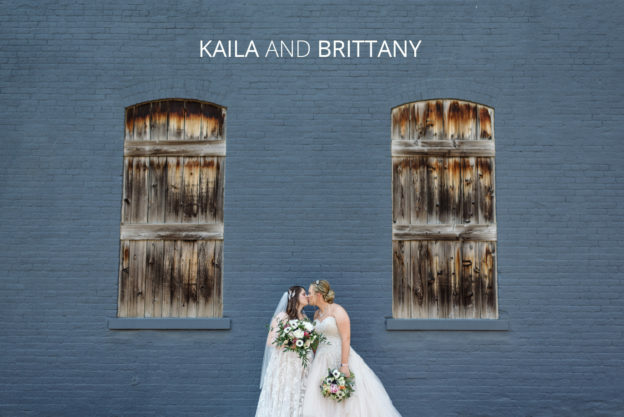 After they said their “I-dos”, we ventured to downtown Columbus for some eclectic, quirky and inspired urban backdrops. We even stopped at Marchella’s, where they had their first date. When we returned, the family cheered their entrance and toasted to their new lives together. The moment open dancing started, the moves just got better and better as the night went on.